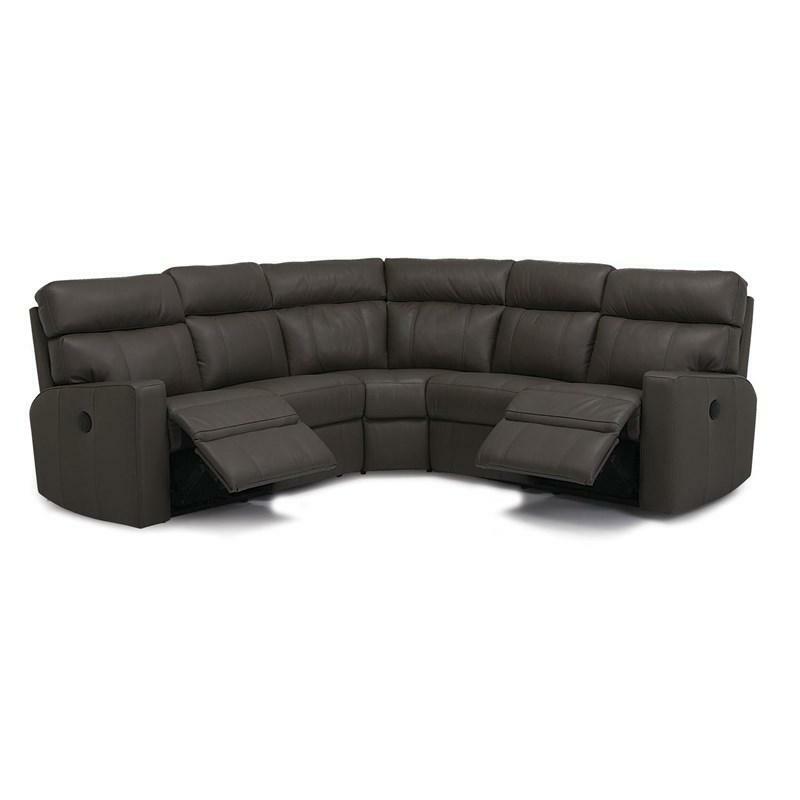 The Taurus Sofa from Palliser features a shapely silhouette, defined by cushiony softness. 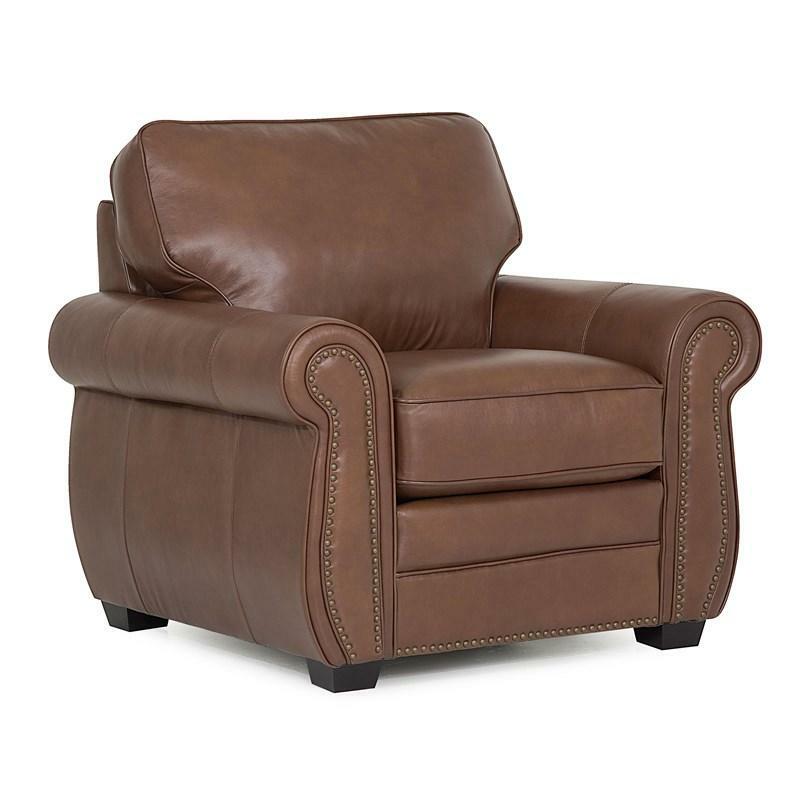 One of Palliser's original classics, the comfortable Taurus features triple bolster back cushions that provide soft support and foam-filled arms that offer an ideal spot for lounging. 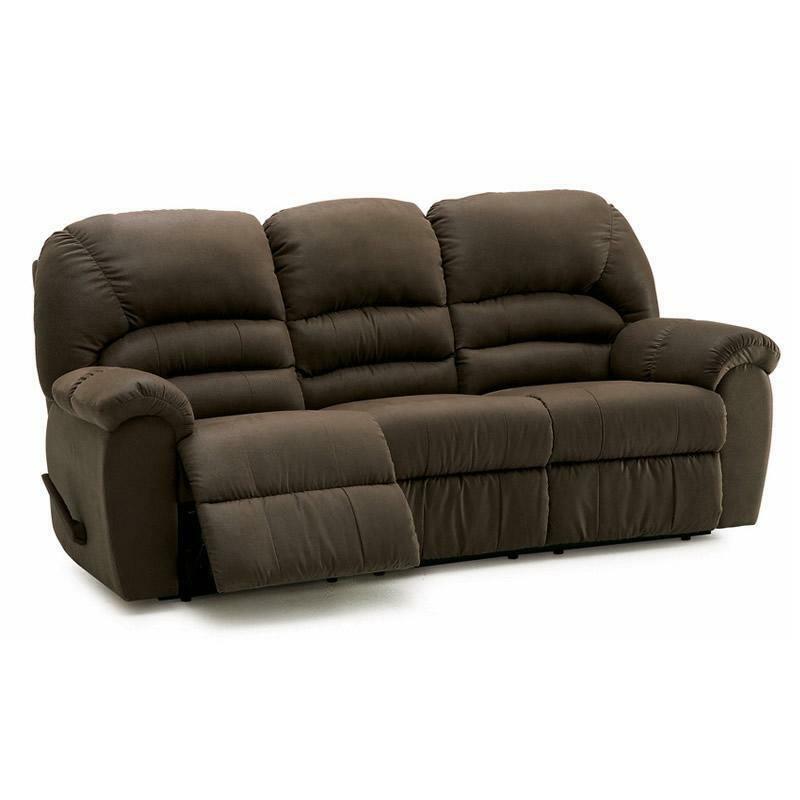 True to form, it features blown fiber-filled back cushions and a fully padded chaise that provide total body support in the fully reclined position. 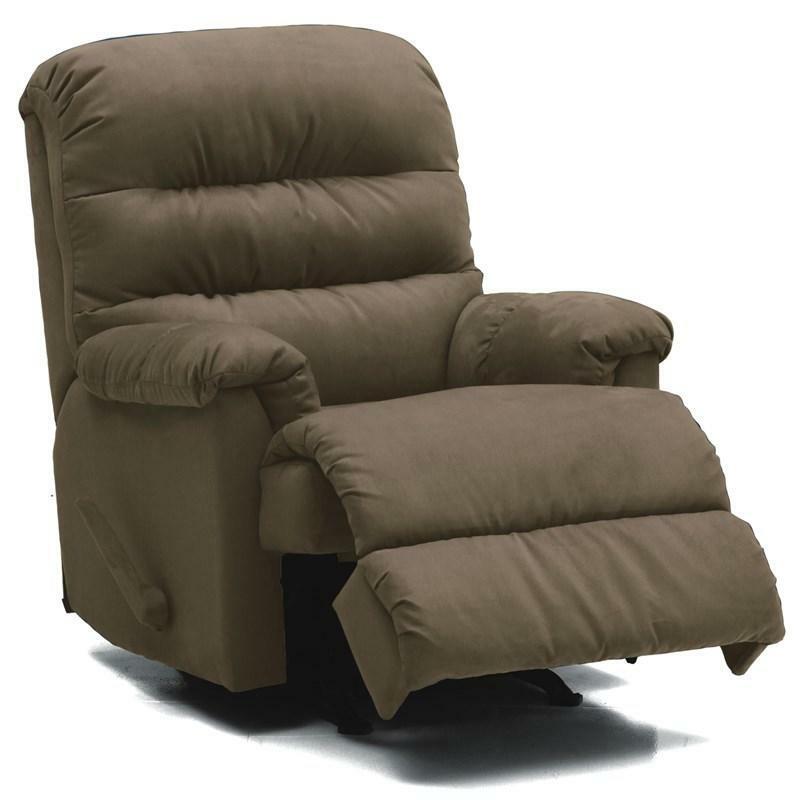 The outside release handle lets you operate the reclining function and change angles with ease. The Taurus sofa has bold features and a shapely silhouette designed for optimal comfort, perfect for watching movies at home with the family. Additional Information Arm height 25"
Seat High resilience seat foam for superior durability and comfort; 8 gauge sinuous wire springs for superior ride and comfort; Seat height 19"; Seat depth 22"
The Thompson Chair from Palliser features rolled arms, wooden feet, high resilience seat foam and blown fibre filled back. 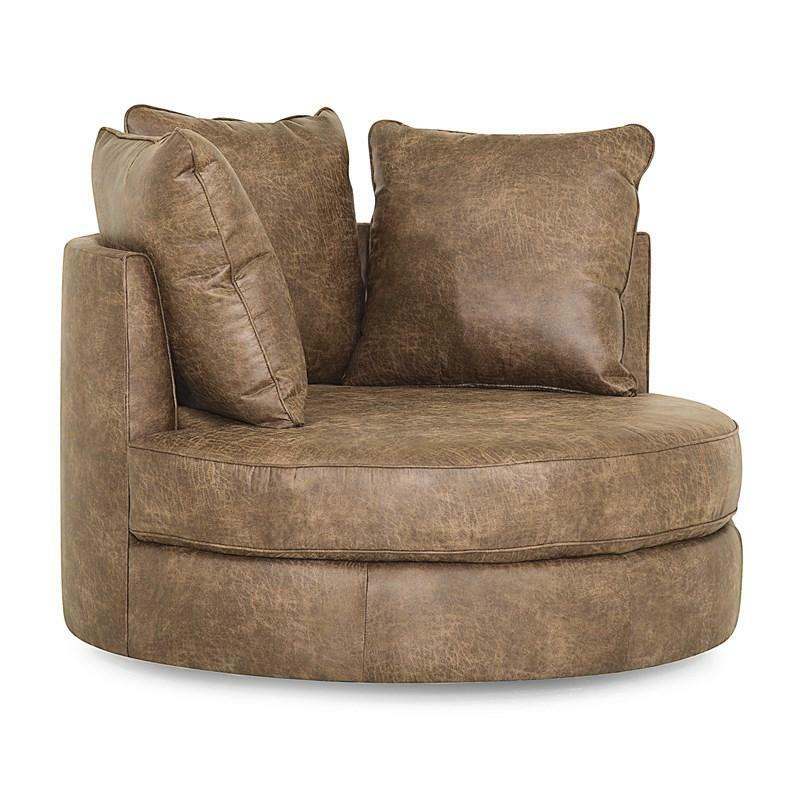 The Sutton Chair from Palliser features a round shape, a blown fibre filled back and interwoven 100% elastic seat webbing. includes two 16" pillows.